The ductile iron pipe fittings manufactured by SYI foundry are mainly used for transferring the drinkable water. 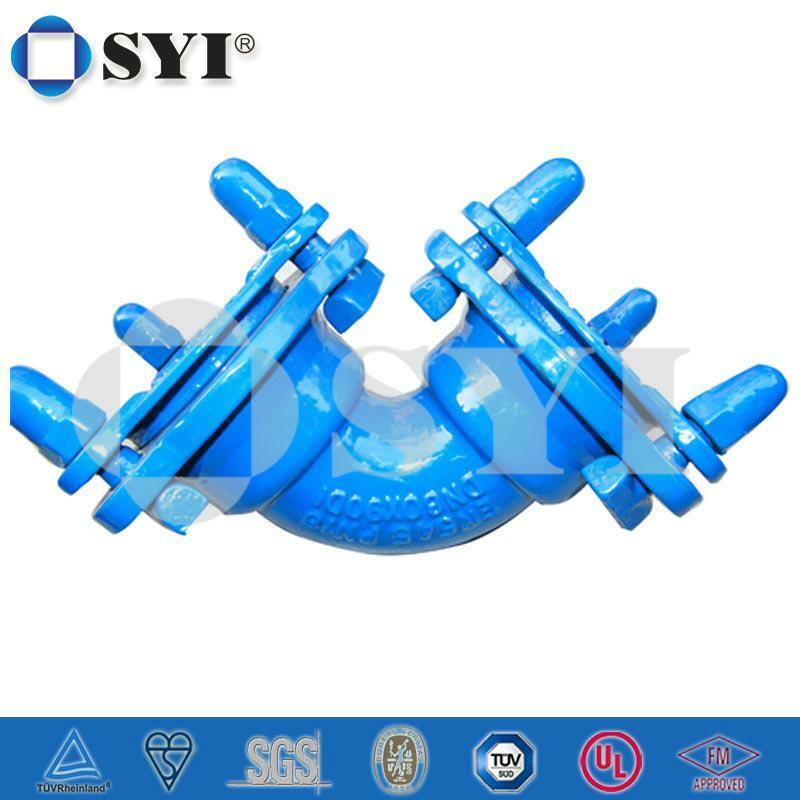 With special ductile iron material, this series of pipe fittings can also be used for transferring the acid in the acid plant or transferring slurry. SYI Foundry has been supplying Pipe Fittings for over 10 years and Pipe Fitting surface shall be smooth and free from sand holes, blow holes, distortion or any other defects. Hundreds of patterns are ready and Max. Dia. Is 1.2 meters with max. Height of 2 meters. You will get our quick reply!